Much has been written about the hazards of tattooing if practiced under unsanitary conditions. That said, even less attention has been directed to the potential latent health effects of tattoo inks. The lack of attention to these effects is shocking since tattoos are one of the most popular and prevalent forms of body art. The practice of tattooing is centuries old and is central to some cultures. Tattooing has been practiced throughout most of the world, though it is rare in China and among people with darkly pigmented skin. Evidence of the practice has even been found in over 4,000-year-old Egyptian mummies and in 5,000-year "Iceman" corpses preserved in ice. It is thought the word “tattoo” entered English and European languages in 1769, having been recorded by James Cook’s Tahiti expedition. In 1891, the first electric tattoo device was patented in the US. 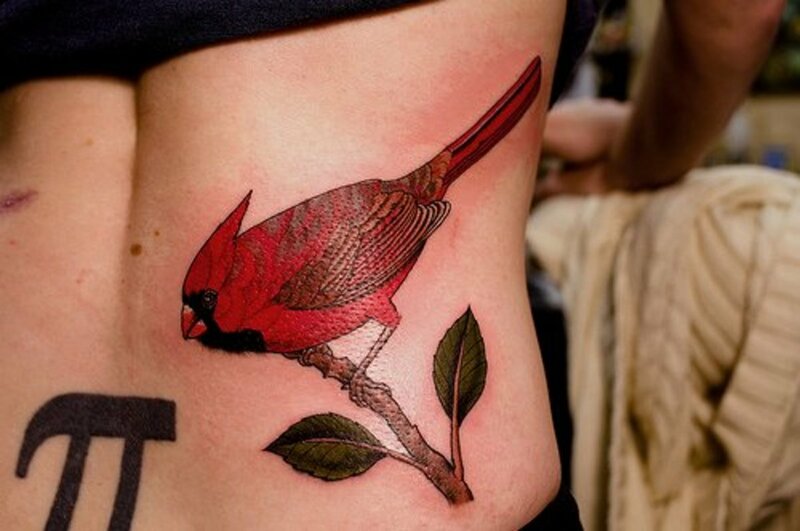 The practice of tattooing seems to have now become mainstream. Young adults and teens worldwide are having dangerous compounds and chemicals injected under their skin for the sake of body art. The trend started surging in the early 1990s. By 2003 it was projected that 36% of 25- to 29-year olds in the US had at least one tattoo. That makes tattoos a pretty big business—and an even bigger health concern. Did you know that there is no federal oversight of tattooing? Although tattoo businesses in the US fall under the purview of the Federal Drug Administration (FDA), the agency has not offered any guidelines or regulations for how tattoo parlors should operate. Their position has been: “Because of other public health priorities and a previous lack of evidence of safety concerns, FDA has not traditionally regulated tattoo inks or the pigments used in them.” Therefore, if an establishment claims that their tattoo business or tattoo inks are approved or certified by the FDA, it is simply not true. The FDA does, however, acknowledge reports of adverse short- and long-term reactions to tattoo ink, including inflammation, itching after exposure to the summer sun, and reports of adverse reactions to tattooed make-up. Infections such as HIV and hepatitis related to reused needles. Allergic reactions to temporary and permanent tattoo inks. 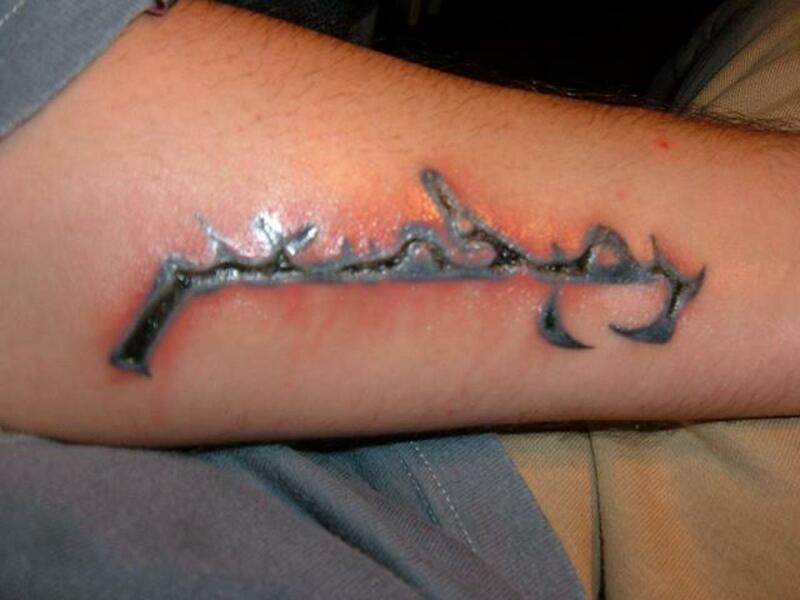 Scarring as a result of getting a tattoo, or tattoo removal. Granulomas in the form of large or small bumps that form to encapsulate foreign substances, such as tattoo ink particles. Burning and swelling of tattoos in MRI machines due to metal components in tattoo inks. Is anyone watching the shop? The states are. That's where most regulation of tattoo parlors happens. That means, however, that the level of rules and oversight varies. California’s Proposition 65 requires tattoo businesses to warn customers that tattoo pigments contain heavy metals associated with birth defects, other reproductive injury and cancer. On the flip side, some states have very lax rules. The US Red Cross imposes a 12 month wait for potential donors who have had a tattoo in a facility that is not state regulated, or in a state that has no oversight of tattoo businesses. In the UK there is no regulation for tattooing, and a 6-month wait to give blood is imposed after tattoos, with no exceptions. Canada introduced legal tattoo services in the prisons to give prisoners a skill, and to reduce health risks such as hepatitis. Plastic polymers are used in glow-in-the-dark inks. Polymerization occurs when particles mesh into a solid sheet of plastic under the skin. Metal salts in tattoo pigment can cause burning and pain during MRI procedures. Some facilities are refusing to perform MRIs on clients with tattoos. Some pigments, especially yellows, react to light and may break down into toxic components due to laser removal treatments. These toxins may, in turn, place a burden on the liver and kidneys. 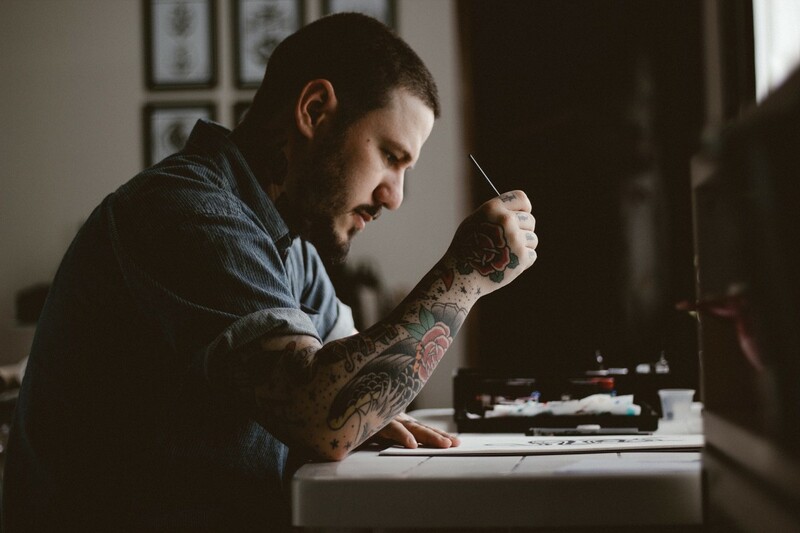 The American Academy of Dermatology has voiced concern and identified an extensive list of potentially harmful ingredientsand compounds in tattoo inks. Central to the issue, is that no one is sure what is in the inks. Manufacturers are not bound to divulge the ingredients of their pigments, and mixtures may be considered trade secrets. 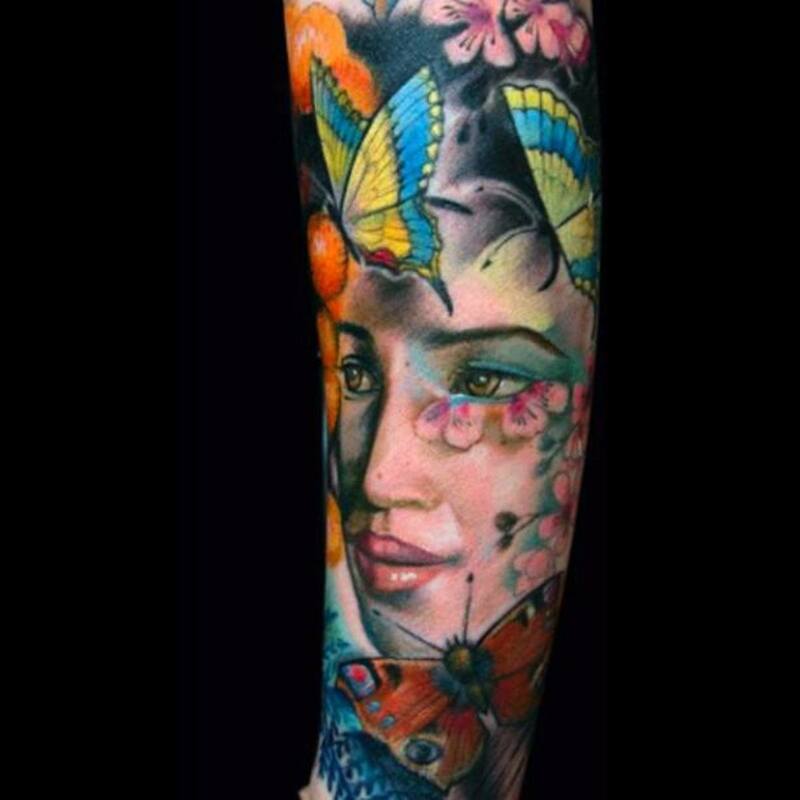 Professional tattoo ink pigments may be made from plants, plastics, iron oxides, or metal salts. Homemade inks may be made from dirt, soot, plants, pen ink, blood or an unknown array of other possible ingredients. Although data is not collected on allergic reactions, some sources suggest that most of the reactions are to the latex rather than the tattoo inks and recommend that clients ask tattoo artists to use non-latex gloves. 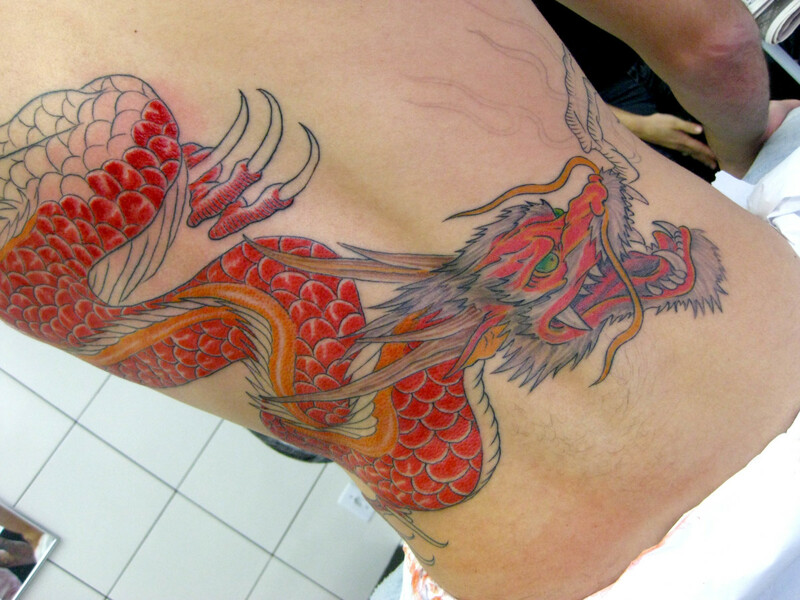 Reports indicate allergic reactions to tattoo inks are most common with red and yellow inks as well as white ink. Red ink is also associated with complications after laser removal treatments and is known to contain mercy and azo chemicals. A case of allergic skin reaction to cobalt blue, and many cases of reactions of red tattoo ink, of both azo compounds and inks of heavy metal composition. Nodular granulomateous reactions, mostly related to azo or heavy metal red inks. 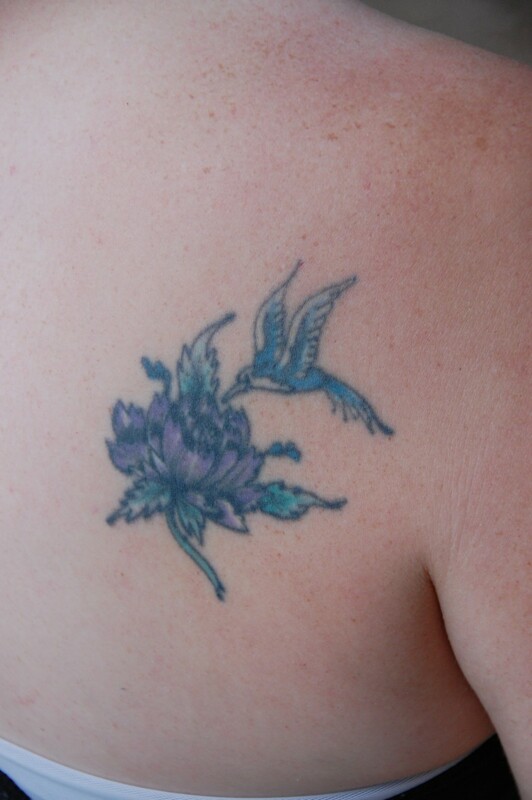 One case developed in the red pigmented areas of a 37 year old tattoo. Sarcoidosis cases traced to red ink, black ink, and multiple colors of ink. Pigments are dissolved in a solvent to help “carry” the color from the needle to the skin. Carriers make ink application easier and help keep the ink mixed with the pigment and evenly distributed. Typical carriers are some form of alcohol or aldehyde. Alcohol-based carriers increase the permeability of the skin, increasing absorption into the bloodstream. which results in more chemicals being absorbed into the bloodstream. Alcohol carriers are also known to amplify the carcinogenic effects of these tattoo inks. One of my sister's tattoos, now 20 years old. The European Commission published Risks and Health Effects from Tattoos, Body Piercing and Related Practices in May of 2003. The team had identified health risks from tattooing and piercing, as well as lax or non-existent regulation these industries. While, the specific composition of tattoo ink was generally unknown, it was known, however, that organic industrial pigments and heavy metals were used, which had impurities and microbiological components. One of the problems is that there have been few defined, targeted studies to examine risks for short- or long-term effects of tattoo inks. In examining many studies, including anecdotal reports of adverse effects, they developed a list of health risks that were “potentially associated with tattooing and piercing." Examination of the full report however reveals some findings that are worth paying attention to. The commission findings can be categorized into 5 areas: infections, allergic reactions, cancer, behavioral changes, and skin diseases. Many of the effects are delayed, sometimes up to 20 years or longer. In my view, this is similar to the problems associated with silicone breast implants, agent orange exposure and Gulf War Syndrome. Nearly 40% of organic pigments used in tattoos are not approved even for cosmetic topical use. Almost 20% of pigments were cancer-causing aromatic amines. Tattoo inks travel in the body. Black tattoo pigments have been found in lymph nodes. Further, these pigments look like metastases in the nodes, complicating the evaluation of cancer status. Laser removal of tattoos has been shown to generate new chemical compounds which travel through the blood and lymph vessels. Cancer-causing compounds have also been generated. There is no such thing as a safe tattoo. There are a reasonable number of studies and case reports as to the adverse health effects of tattoos. The lack of extensive definitive studies proving adverse effects is just that, a lack of studies. It is not proof that tattoo inks are safe. Would you like to know more about infections, allergic reactions and long term toxic effects associated with tattoos? Yes! In plain English please. Laws and Regulations of Tattoos and Piercing, overviewing 97 tattoo and piercing laws from 20 countries. Health Risks of Tattooing and Ear or Body Piercing explores the increasing risk of contracting serious blood-borne diseases from tattooing and body piercing. Anesthesia Risks of Tattoos and Pierced Tongues More Than Skin Deep reports anesthesia risks when anesthesia is administered by needle to the low back through tattooed skin. 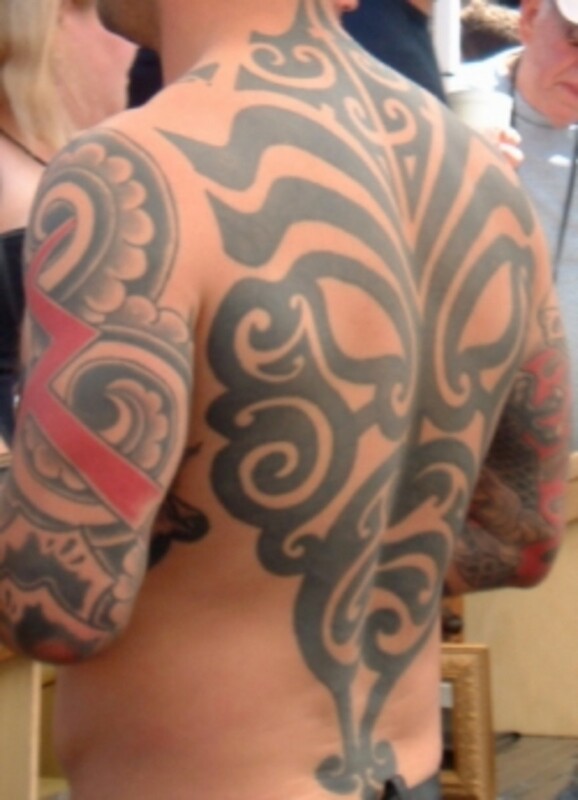 Health Risks of Tattoos provides a listing of Top 10 health resources on the risks of tattoos. 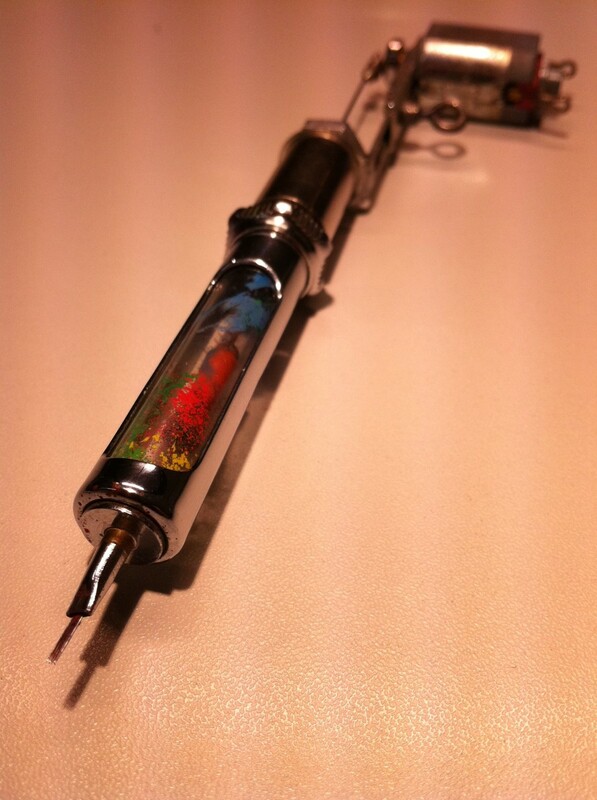 Tattoo Ink provides information on ingredients in tattoo ink and ink carriers. The Truth About Tattoos: Health Risks, Toxicity and More outlines information on tattoo ink risks. Surprising findings, such as ink ingredients that are carcinogenic or mutagenic. Many ink ingredients are not approved for topical use in cosmetics, yet are present in some tattoo inks. Risks and Health Effects from Tattoos, Body Piercing and Related Practices provides a wealth of information in a 30-page report by the European Commission. Tattoo Medical Issues overviews various health problems linked to tattoos. Hi RM, Thanks for the article. I got a tattoo nearly 20 years ago when I was in my early 20's. Even though it is in a place not noticeable, I have regretted ever doing it. I have a need for removing it now but I've been diagnosed with an autoimmune disorder. Do you know of any products for removal that can be safer for the immune system? Such as gels, creams? Love your comment miriam. It's really shocking, isn't it? And unfortunately it's deemed even more dangerous to have tattoos removed. I cant believe it!my friend is a tatooist & hes done a couple on me, knew there wasn't any real regulations except health & hygiene.i have 9 tatoos in total,they are all tastefull,mean something & I can cover them up.i have always used reputable,hygienic tatooists but now ive read this,it is frightening to think what I have put into my body.thank you for yout research it is such an eye opener! Thanks for your great comment Gary. It’s okay to inject stuff under your skin that’s illegal in topical cosmetics. And the FDA is too busy with other things. Go figure. Sometimes tattoos can look good, sometimes they can look disgusting, but after reading your article I now see that they are also very dangerous. I had no idea that such toxic chemicals are used in the tattooing inks. Many of those that you listed are banned from paints and glazes, so it is remarkable that some people are happy to be injected with them. A chilling hub - I will never look at a tattoo in quite the same way again. Jane, I think there is an initial restriction after freshly getting a tattoo. A reasonable time must pass to establish that the person did not get an infection or something. As far as transfusions, I'd think it's a similar situation to the studies about epidurals and anesthesia: there is concern that a needle pierced through the tattooed area may carry impurities or toxic materials from the tattoo deeper into the body, or into the blood stream. Avoid getting a needle stick thru tattooed areas. Wow this is a lot of research. I personally have one small one and do not worry too much about long term effects. But for those with many I would have to wonder if it really does hurt them in the long run. Really great research. I'm a fan of tattoos myself and thought I'd looked into the regulations and adverse effects pretty thoroughly, but you've proven me wrong - I had no idea they were so unregulated. That would be great if this hub got great traffic! 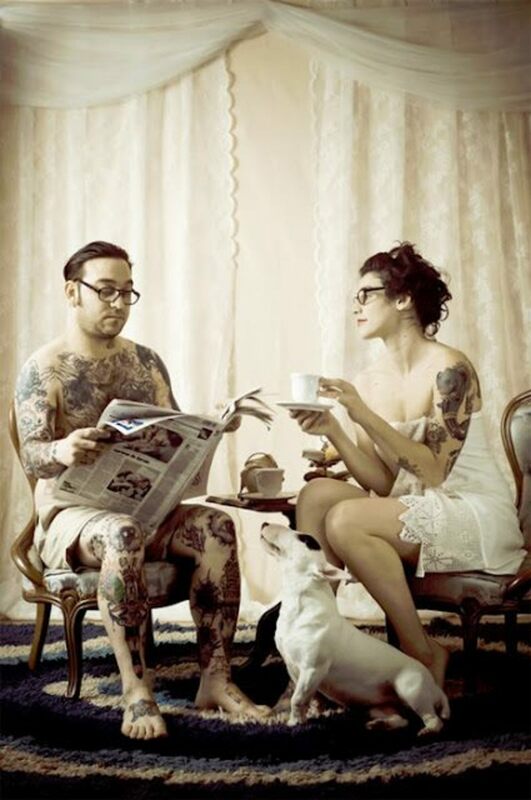 I think the traffic will be from parents, spouses, boy/girlfriends who do not want their loved one to get a tattoo! The info is a hard sell though. People have become so complacent about what they put in, or on their bodies. I think eventually it will come out more and more that tattoos are linked with auto-immune disorders. Thanks for recognizing the days of hard work that went into this hub! Awesome hub with a lot of well researched information in one location. I would think that this is one of a kind and hopefully will generate a lot of traffic from people wanting a tattoo, but want to know the risks involved before getting one. Great Job! Incredible hub. I never knew how great the risks were. Thanks for creating this important hub. I hope it travels far beyond our HP community. So many of my friends think nothing of getting 'one more tattoo'. It think it can be as addicting as Hubpages! 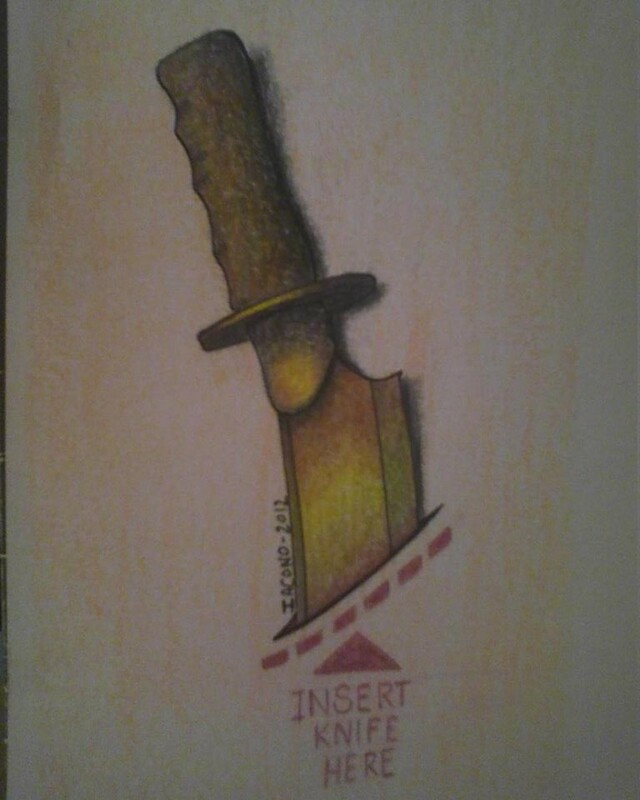 Kimberly, thanks so much for recognizing how much work this piece was! I feel like I need to do at least one more article because of all the info that I have printed and in my head. Thanks for reading and commenting vrajavala. I have wondered if many scriptural prohibitions are not just plain old health and safety advice and not religious at all. Sound advice at the time, and in many cases still sound. The black henna has been used for permanent tattoos, which has been linked with health problems. Turkish women dip their fingertips in henna for celebrations like weddings. Interesting biblical prohibition. I had no idea. In India, there is a prohibition as well, according to the Scriptures. Ladies do use Henna http://www.earthhenna.com/ which is semi-permanent. Thanks for reading and commenting judy and Lily! My vote, stay away from tattoos. They WILL increase the toxic load on your body. Very good, comprehensive information - I've really been wanting to get a tattoo, now I'm a bit nervous about it! I had no idea! Great research. Everyone should read this before getting a tattoo!